basically i used body filler and that stuff is mad hard when dried. Attached 2 of the 3 broken pieces and sludged it from behind and in between to fill the crack seam. then i did my 3rd piece and i filled in the cracks from the front and smotherred it as well. Dried, and sanded the remaing excess filler with about 200 grit moving down to 400 grit. Primed it to see if it was levelled and smooth. and used glazing putty - to fill small pin holes, jus use lil small amounts the size of a grain of rice and let it dry then wetsand it off with 400 grit. this will help ensure i nice smooth painting and clean finish. you can now repaint the whole front skirt or fade off the rough area you fixed, do not mask off a part of the skirt and paint the repaired area or you will end up with a high end of the masking tape and it will just be a waste of time. jus fade it off using a cardboard to deflect overspray. ahah ya back then the lips were not as cheap, but nowadays i would either just do minor touchups or jus get a new lip. back then it was last year? Good job on it anyways! 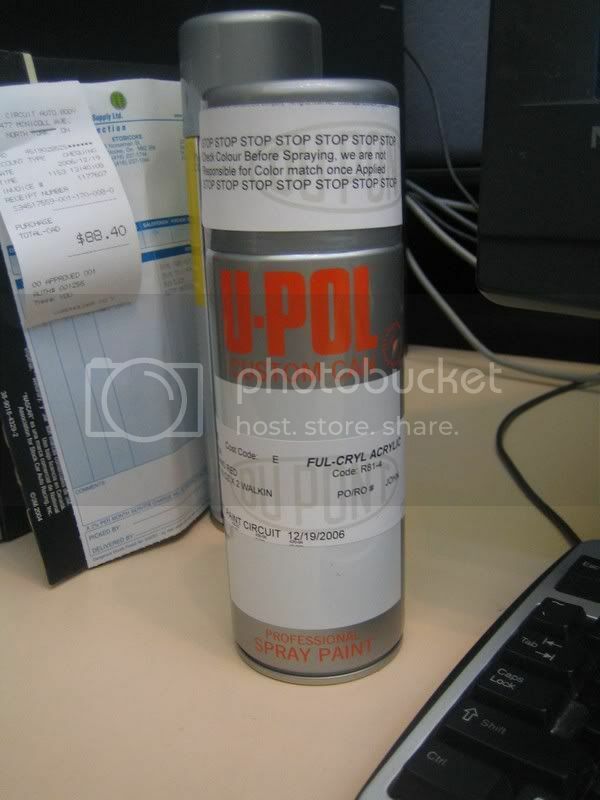 Its $25 for a can of paint, the invoice has a few other products that I purchased, and I bought 2 cans of Milano red that day as I was painting stuff for other people as well. How's that repair holding up Crazydragonclk? Normally bodyfiller would be very prone to cracking in that kind of repair, an epoxy structual adhesive is usually advised. 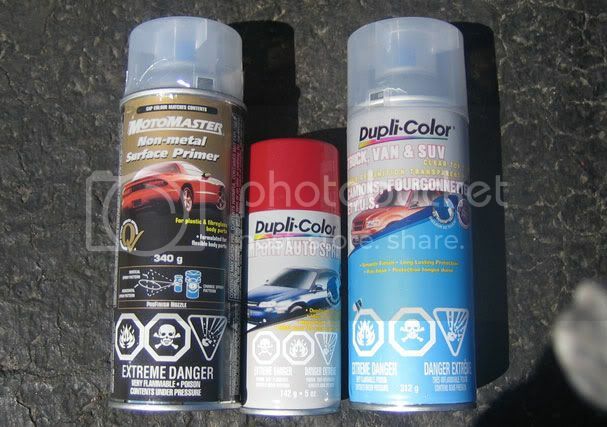 The aerosol clearcoats can also fade down a bit quicker to. It does look good though. the repair had remained fine but that lip was eventually cracked in other areas that jus needed to be replaced, ive used a more flexible stype of filler it may be that epoxy ur talking about but ive not used that on this lip only bumpers. the only fading or errosion of paint that i have really noticed is by some clears around the gas tank area due to dripped gasoline, but other areas there are no big color or fade concerns from my experience.